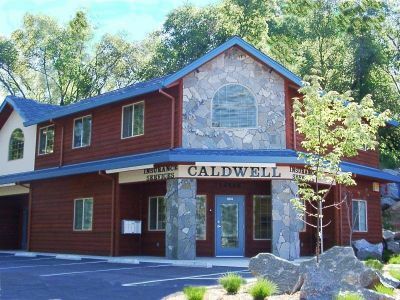 About Glenn S Caldwell Insurance Services, Inc. in Sonora California - Glenn S Caldwell Insurance Services, Inc.
About Glenn S Caldwell Insurance Services, Inc.
Glenn S Caldwell Insurance Services, Inc. is an Independent Insurance Agency representing many different companies for your insurance needs. We carefully selected our carriers in order to provide you with the best level of service, price and coverage. As independent insurance agents, you have the ability to choose the best carrier for your insurance needs. That is the main advantage to using an independent insurance agency, we work to satisfy your needs. Our goal is to educate and service the Sonora, California community and throughout the state of California. Through our independence, we strive to educate the community on the best options for their insurance needs. We can provide an assessment of your insurance needs with a choice of which package fits you best. We want you to have a positive overall experience with Glenn S Caldwell Insurance Services, Inc.. Our one on one service approach is our #1 goal for all our insurance clients. Give us a call at (209) 532-5102 or contact us through one of our quote forms, and we'll be happy to answer any of your insurance questions. Justin has been with the Caldwell Insurance since 2012 and manages the daily operations of the agency while also working as a producer in both the personal and commercial insurance divisions. When he is not working in the insurance business, his four children keep him quite busy. He enjoys coaching youth soccer, volunteering at his local church, and loves spending time on the lake. 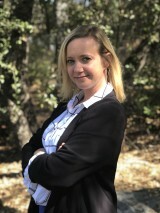 Candice has been with Caldwell Insurance Services since 2003 and is the Chief Operations Officer. In addition to being a producer for commercial insurance, she is passionate about including life and health insurance for all her clients. When she is not working in insurance, she is spending time with her four kiddos ages 3, 5, 9 and 11. She also enjoys family time on their boat, wake surfing the summer away. 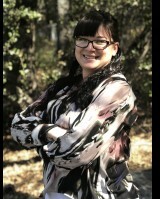 She volunteers as the Parent/Teacher Fellowship Coordinator at Mother Lode Christian School. Jeannine has been with the Caldwell Insurance Services since established in 1997, and is the Secretary and Treasurer. She is a licensed agent, but these days she is in more of an administrative role. She does mostly accounting, donations and miscellaneous paperwork. When she is not working in insurance, she loves hanging with her family and spending spare time with her grandkids. She gets refreshed worshiping on Sunday with their Church family, enjoys quilting and traveling in her motorhome. Matt has been with the Caldwell Insurance Services since 2014 and is a commercial lines producer. He has been in the insurance industry since 1998. When he is not working in insurance, he is spending time with his wife and kids. He also enjoys serving the local church, endurance sports, drinking coffee and making pizza in his backyard. Matt has been with Caldwell Insurance Services since 2015 and is a commercial lines producer. He has been working in the insurance industry for nearly 30 years and has experience in claims, risk management and as an agent/broker. When he is not working in insurance, he enjoys tennis, golf, biking, sailing, and wrestling with his dog Sammy. Stacey has been with the Caldwell Insurance since 2016 and is currently an account manager for commercial lines. When she is not working in insurance, she is spending time having family fun. She enjoys outdoor adventures, traveling and listening to live music. Lauren has been with the Caldwell Insurance since 2016 and is an account manager for both personal and commercial accounts. When she is not working in insurance, she enjoys spending time with her family and animals. Lauren is the resident “book worm” around the office and enjoys reading a new book every week! Bobbi has been with the Caldwell Insurance Services since 2016 and is an account manager for both commercial and personal accounts. When she is not working in insurance, she is spending time with her husband and her many pets. She also enjoys cooking, reading, and spending time in the outdoors camping and fishing. Eric has been with the Caldwell Insurance Services since 2017 and is a customer service assistant for personal accounts. When he is not working in insurance, he is spending time with his family and out on the slopes snow skiing. 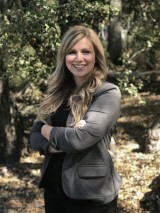 Taylor has been with the Caldwell Insurance Services since 2017 as a customer service representative. When she is not working in insurance, she is spending time with her family and her two dogs. She also enjoys reading and exploring Tuolumne County. Rachelle has been with the Caldwell Insurance Services since 2017 and is our front desk customer service representative. When she is not working in insurance, she is spending time with her son. She also enjoys reading and relaxing with a good book.